Lately I’ve begun talking about the mask. It’s another way to talk about what we keep hidden from each other on a regular basis. As I speak with people about mental health and my experiences, talking about the mask helps me tell the story of what it means to hide mental illness. The mask is a cover. It covers up the real me. I can make the mask look like whatever I want. Wearing the mask I feel in control and confident. The mask allows me to blend in or even to disappear. The mask is what normal looks like. The mask is safe. Talking about mental illness and its impact on my life is an act of removing the mask. As a gentleman at a church recently remarked after hearing my testimony, “we need a shelf to put our masks on.” I had thought about simply throwing my mask onto the ground and watching it shatter. But there may be some sociological value in keeping them. People seem to resonate with this concept of wearing masks that conceal our true selves. It seems to be an aspect particularly common in Christian culture in the United States. What happens when we remove the mask of perfection? But what if I’m not fine and I need help? Recent studies about the use of social media point to this “Instagram effect” where we curate the ideal public image of ourselves. I point to this as another way we wear masks. To be authentic by being vulnerable risks rejection. But what you realize with age is that those who reject you actually don’t know how to love you. Find the ones who do. The irony of wearing masks of perfection in church is that loving our neighbor as ourselves is at the heart of the Gospel. And it’s this core love ethic that is woven into the fabric of Christianity’s most beautiful hymns and prayers. It is this divine love that keeps me grounded during the hardest days of my life. I didn’t expect that what started as breaking the silence would turn into breaking the mask (or putting it on the shelf). Yet, as I engage with more people about mental illness, family and church, I discover in others an intense longing to be real and to be loved that is universal. Looks like the church could create an entire Museum of Masks, if we were ready to shed them. And the good news: we are ready. May is Mental Health Awareness month, so now the top of the Empire State Building is aglow with green light at night. I don’t know why green is the color that NAMI (National Alliance on Mental Illness) is promoting as representative of the mental health movement, but there are worse colors out there, like fluorescent orange. Kermit the Frog sums it up for people with a brain disease and mood disturbances: it’s not easy. As a friend and I talked about today at lunch, it’s not easy having a mental illness because it’s an invisible disease that, like shadows across the earth, come and go with the day. Not that any disease is easy. But there does seem to be this additional burden of stigma and shame with mental illness (and other disabilities) that just makes living with it hard. An audience member asked me about shame recently. 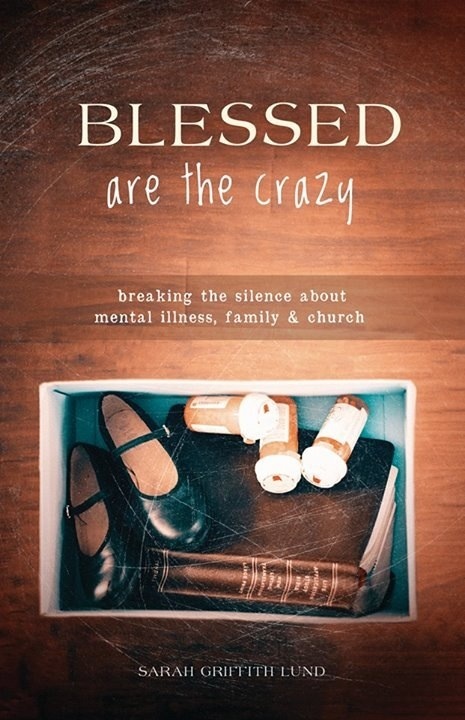 He asked me to explain why I experienced the mental illness in my family as shameful. I realized that only when I looked at my father’s life through the lens of compassion for a person with a brain disease, does the shame start to fade away. My father was very sick. Why would I be ashamed of his illness? He also had heart disease, but that wasn’t a source of shame. We feel shame when we cannot feel compassion. I regret my lack of compassion for my father and am sorry that compassion for his condition came to me towards the end of his life and not sooner. I wish there was no stigma for mental illness because it’s the stigma that made me feel ashamed about my father. The stigma made me feel ashamed. The shame kept me silent. The silence kept me alone. The isolation kept me from love. I hope it will be different for younger generations who have permission to speak openly about mental health. I hope for a future where there are no shadows of stigma and shame that sweep across and dull this green earth.